1) thickness:0.02MM,common thick is 0.02mm,we can made 0.03mm,0.04mm,as per your need. 5) a must for emergency sporting events travel etc. 8) time of shipment:about 30 days after confirm the samples. it is very appreciate that we receive you inquiry. Looking for ideal PE Disposable Raincoat Manufacturer & supplier ? We have a wide selection at great prices to help you get creative. 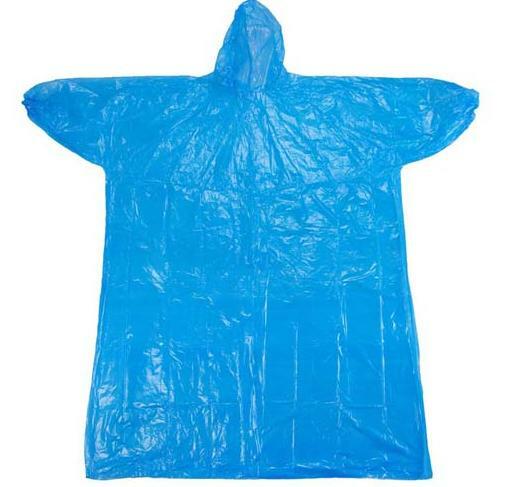 All the Blue PE Disposable Raincoat are quality guaranteed. We are China Origin Factory of PE Disposable Raincoat. If you have any question, please feel free to contact us.